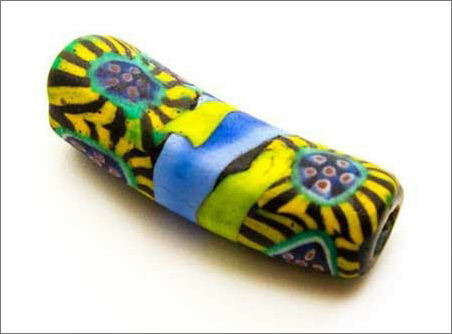 Beautiful rare antique Venetian trade bead with watermelon pattern in very nice condition. It measures approximately 23 mm in length and 8 mm in diameter. Used in the African trade. $17. Three beautiful antique Venetian beads in very nice condition. They measure approximately 14-15 mm in length and 9 mm in diameter. Used in the African trade.. $21. Ten antique Venetian beads from the African trade in excellent condition. 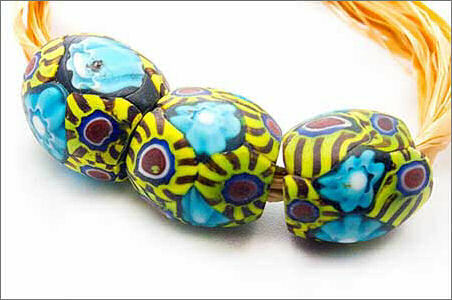 The beads measure approximately 7 mm in diameter and 13-15 mm in length. $16. Four beautiful antique Venetian glass disk beads in excellent condition from the African trade. The beads measure 9.5 mm in diameter. $29. 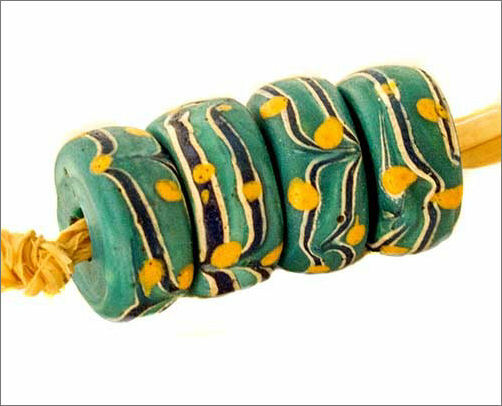 Ten antique Venetian glass beads from the African trade in excellent condition. 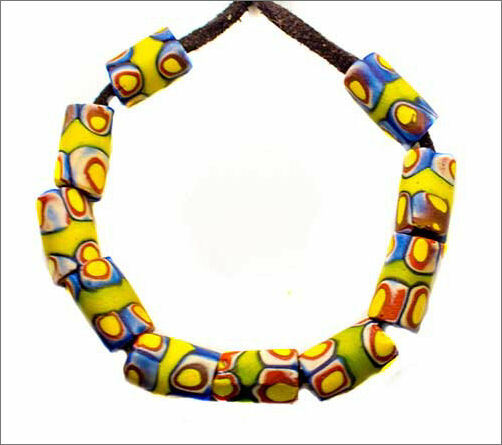 The beads measure approximately 13 mm in diameter. $33. 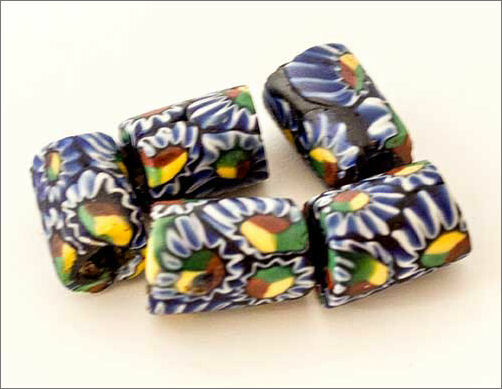 Five small rare antique Venetian glass beads in excellent condition. 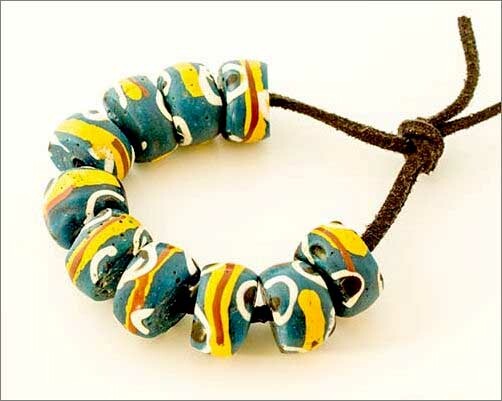 The are sometimes called "peace beads" because the pattern looks like the peace symbol. The beads measure approximately 7 mm in diameter and 13 mm in length. $13.